HomeBlogFebruary New Releases: Who Needs Coffee?! February New Releases: Who Needs Coffee?! February 7, 2019 February 7, 2019 Christine WeberLeave a Comment on February New Releases: Who Needs Coffee?! Brrrr! The winter cold finally arrived in Michigan, and we’re bundled up to stay warm! A steaming mug of coffee helps keep the hands toasty, but our February new releases all utilize coffee in different ways to improve your skincare routine. You don’t have to like drinking coffee to appreciate the different benefits of our new products! Our first limited edition release is the beloved From Scratch Coffee Soap! You are receiving a four-ounce bar of this amazing soap. 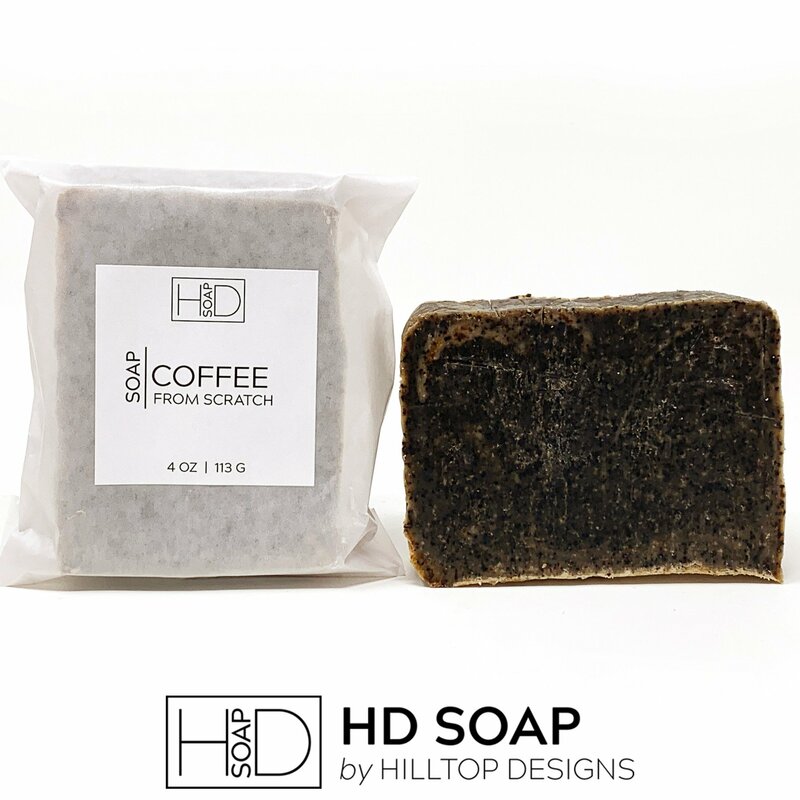 We combine fresh coffee grounds with our coconut oil and olive oil soap recipe to create an exfoliating bar that scrubs and cleanses like none other. Coffee is packed with antioxidants, which is awesome for your skin because antioxidants help your skin look and feel younger — and so does caffeine! 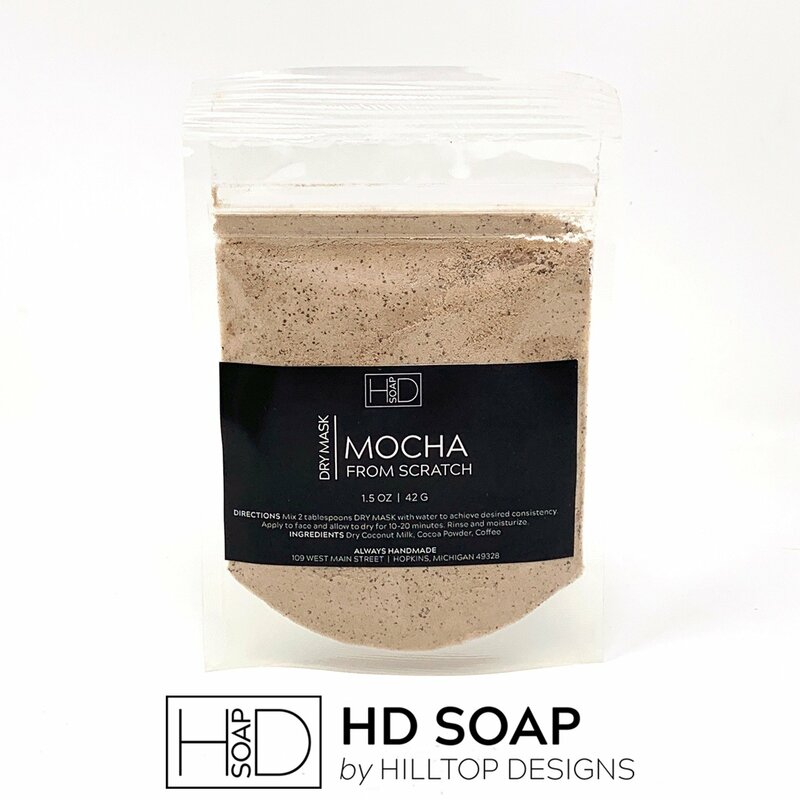 Like our From Scratch Coffee Scrub, the coffee grounds in this soap will help smooth and polish your skin, all with the added benefits of the hydrating oils in our soap. The Coffee Soap is a limited edition release, so if this is one of your favorites, purchase a few extra bars for your stash! 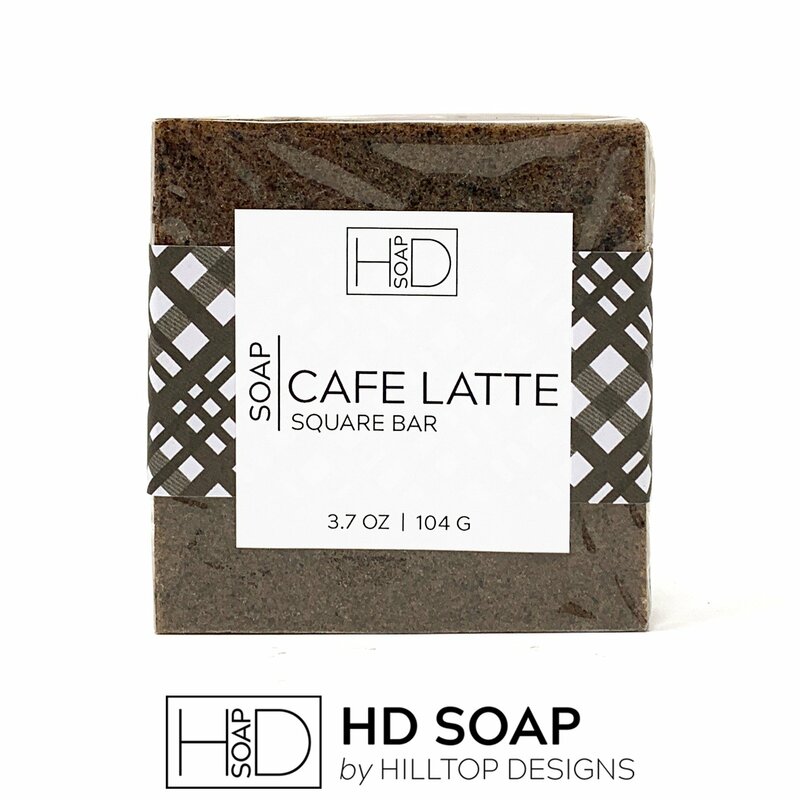 The next product for February is returning for a second year; say hello to the Cafe Latte Square Bar! 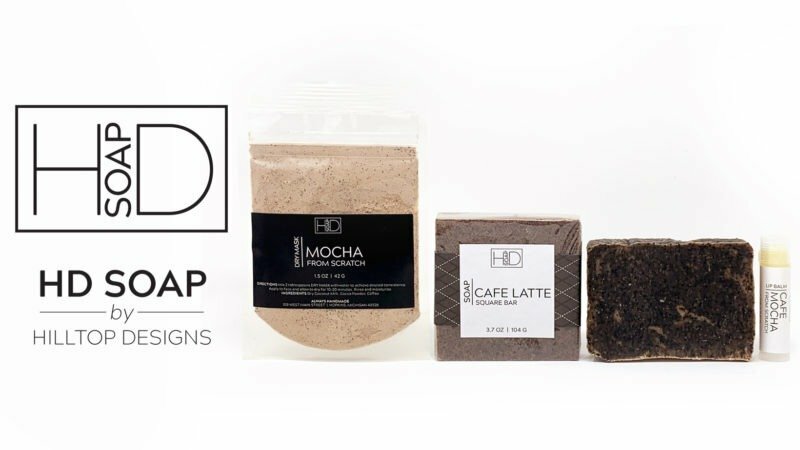 Like our From Scratch Coffee Soap, this square bar offers exfoliation from fresh coffee grounds! 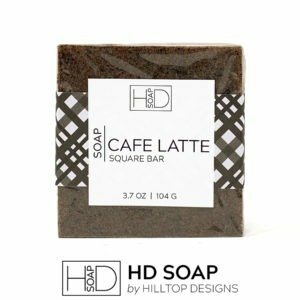 This special bar is made by adding a delicious latte fragrance to our gentle goat’s milk soap base, in addition to the coffee grounds. (Do you remember the Pumpkin Spice Latte soap from the fall? It’s just like that but without the pumpkin!) This will be another limited release, so stock up! You may have snagged one of these as a Black Friday Exclusive, but in case you didn’t, get ready to fall in love with our new Mocha Dry Mask! Made with dry coconut milk, cocoa powder, and coffee grounds, this mask is perfect for revitalizing skin! Cocoa powder is rich in vitamin E, which may help your skin look smoother and more firm. It’s also packed with antioxidants, and that will help your skin achieve a more youthful glow. The Mocha Dry Mask will exfoliate your skin and leave it feeling radiant. We love this mask so much that we added it to our core lineup of dry masks! 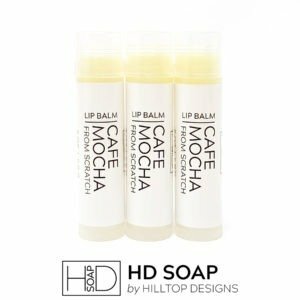 Last up for this month is a delicious lip balm that was another Black Friday Exclusive: please enjoy the very delectable Cafe Mocha Lip Balm! We love its chocolatey, coffee flavor, and it pairs perfectly with our moisturizing blend of olive oil and beeswax. 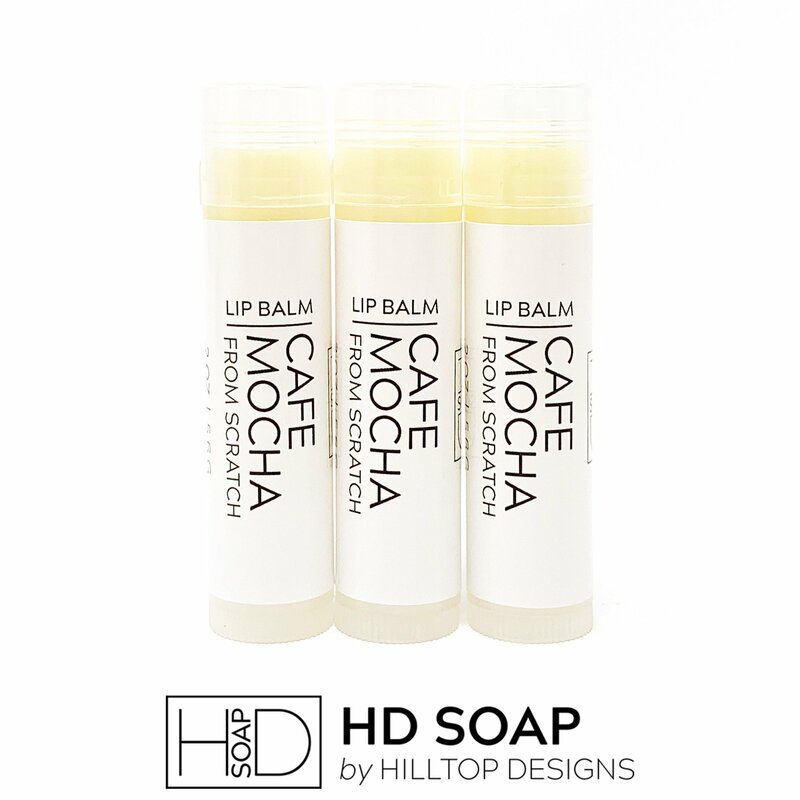 Like our limited edition coffee soaps, this tasty lip balm will only stick around for a short time! That’s all for February! We love it when you tag us on social media with#HDSoap, #HDVIP, or #HDSoapVIPClub as you enjoy your new products — it’s fun to see everyone’s HD Soap skincare routines! Previous Post Previous post: Hello, Valentine! Next Post Next post: March New Releases: Happy Birthday to Us! March New Releases: Happy Birthday to Us! Gift Ideas with HD Soap!